A report released by Migration Watch UK this week has advised the Government to reject calls from farming organisations to introduce a new visa scheme for seasonal agricultural workers after Brexit. Instead, the think tank has recommended ‘raising wages and improving working conditions for seasonal employees’ to encourage more local workers to pick fruit and vegetables. It also said investing in productivity-enhancing technologies will help growers to deal with labour shortages. 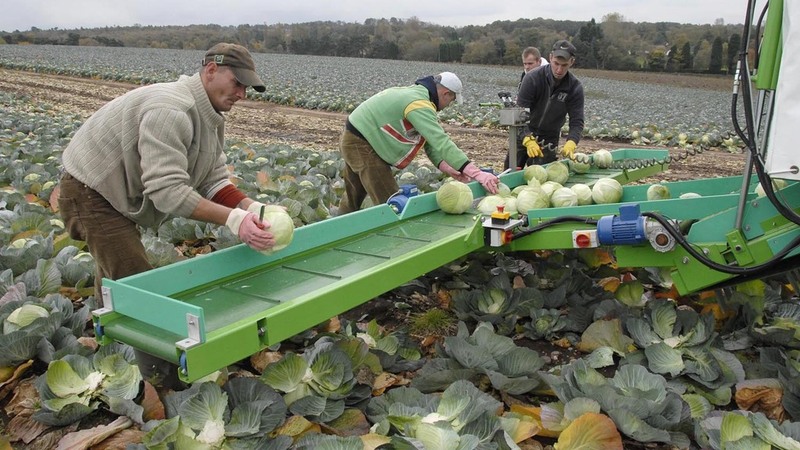 Chair of the NFU’s horticulture board, Ali Capper, said she was ‘surprised’ Migration Watch has raised concerns about seasonal workers as they come to the UK to work then go home again, so are not bound up in the immigration argument. “Seasonal work is less attractive to the local communities living permanently in most first world economies. Whether it is the USA, Canada, Germany, France or Australia, local people do not aspire to move from farm to farm to follow the season’s harvest. “Without seasonal workers, fruit and veg will be left to go rotten in the fields”, she added. CLA Director of Policy Christopher Price said: “It is unsurprising to see lobby groups seeking to impose the most restrictive rules possible on migration into the UK criticising calls by the rural sector for a seasonal workers’ scheme. Ms Capper did agree with Migration Watch that Brexit is an opportunity for manufacturing sectors to deal with low productivity, but blamed the problem on a lack of Government investment in agriculture over the past ten years. She called on the Government to make investment in agriculture and horticulture part of its new industrial strategy.